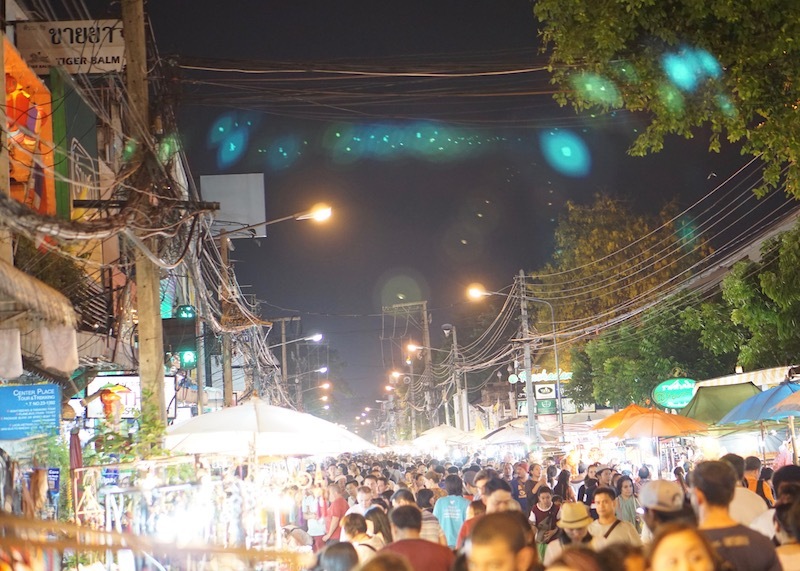 Sunday night market, the start of my Chiang Mai street food adventures! 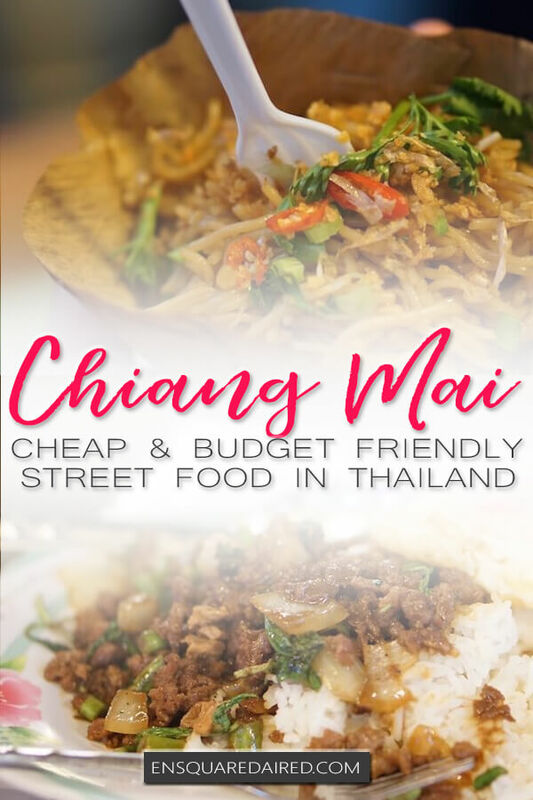 Chiang Mai, Thailand’s largest city in the north, has fantastic (and incredibly cheap!) street food. 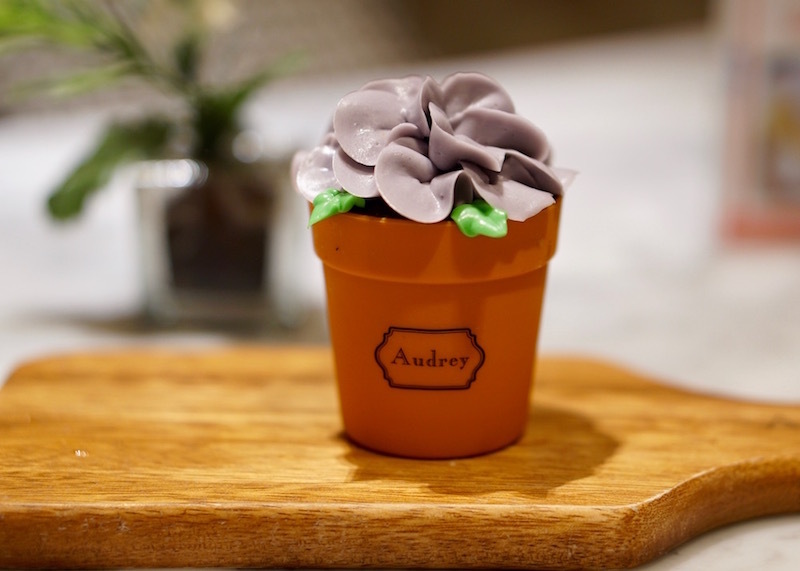 Everywhere you go, you’ll see mouth-watering food that costs less than the price of your Starbucks coffee in North America. 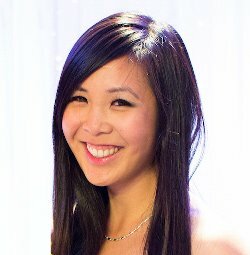 I budgeted $10 CAD a day for food and was able to comfortably stay within that budget while eating whatever my heart desired. 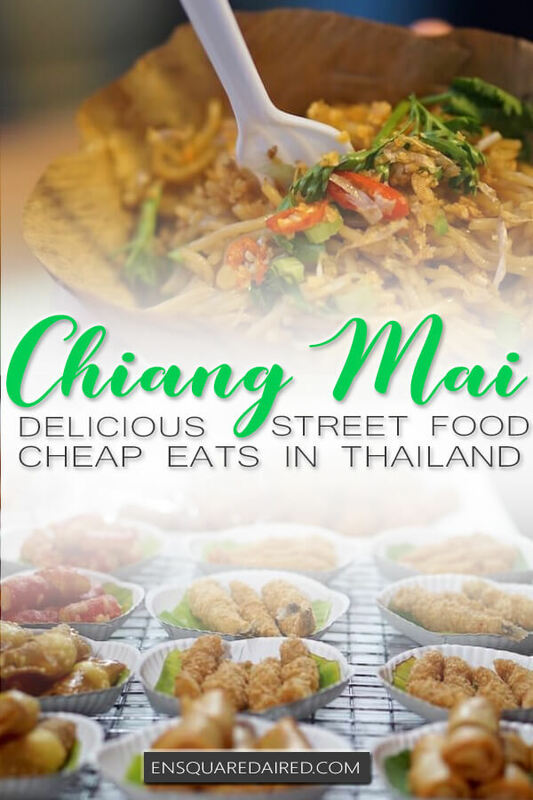 Not only will you and your wallet feel heavier, but your taste buds will also explode with the flavourful dishes in Thailand. 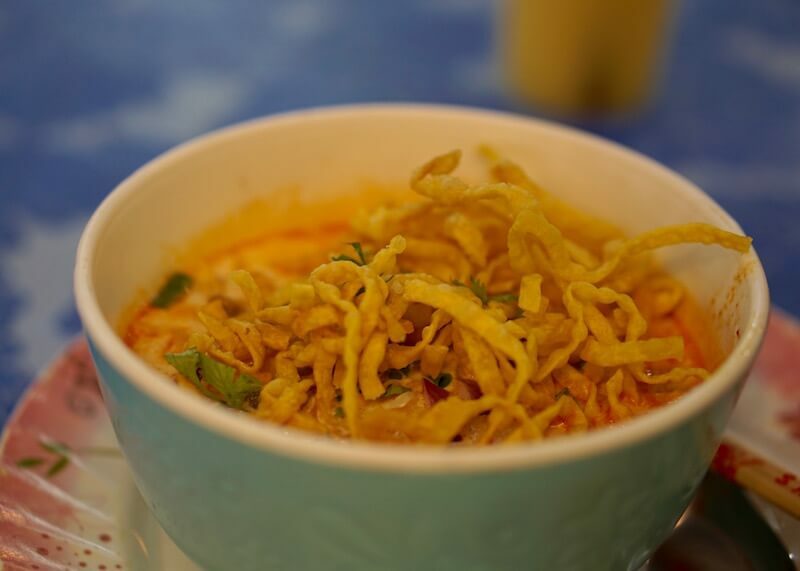 Khao soi is a traditional Burmese-influenced dish in Northern Thailand. 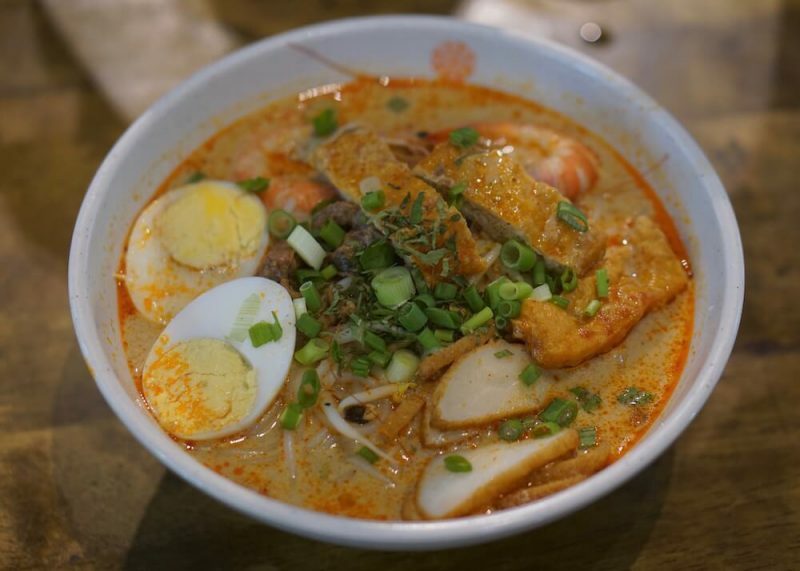 It’s a curry soup-like coconut dish and comes with crispy egg noodles, boiled egg noodles, pickled vegetables, and meat. This dish is so flavourful that I personally believe it is a sin to waste any drop of soup! 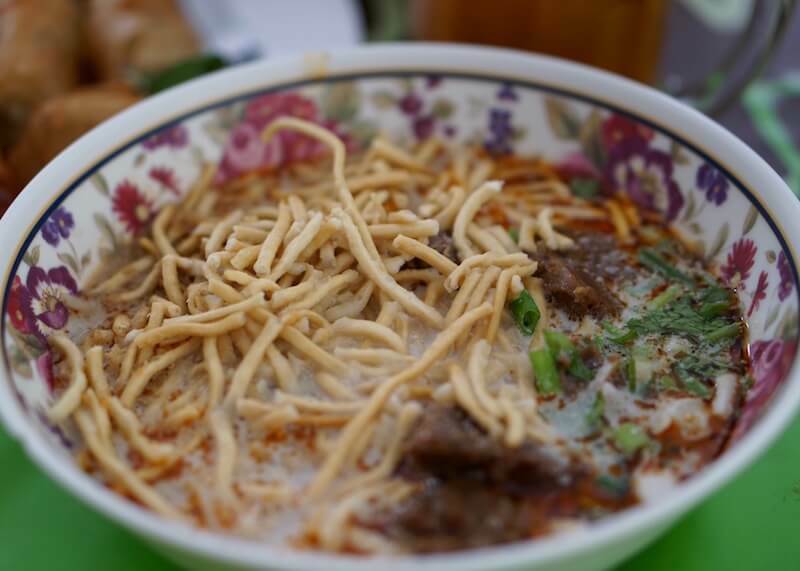 I love khao soi the same way I loved Laksa in Singapore and had at least one bowl of this delicious noodle soup each day while I was in Chiang Mai. 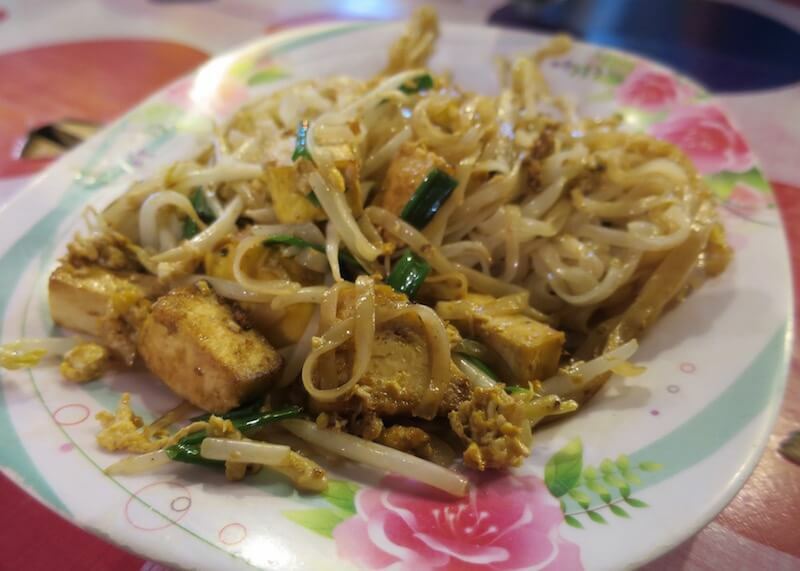 Pad Thai is a noodle dish, commonly stir fried with eggs, fish sauce, and other meats and vegetables. Easy, simple, and leaves the tummy super happy. 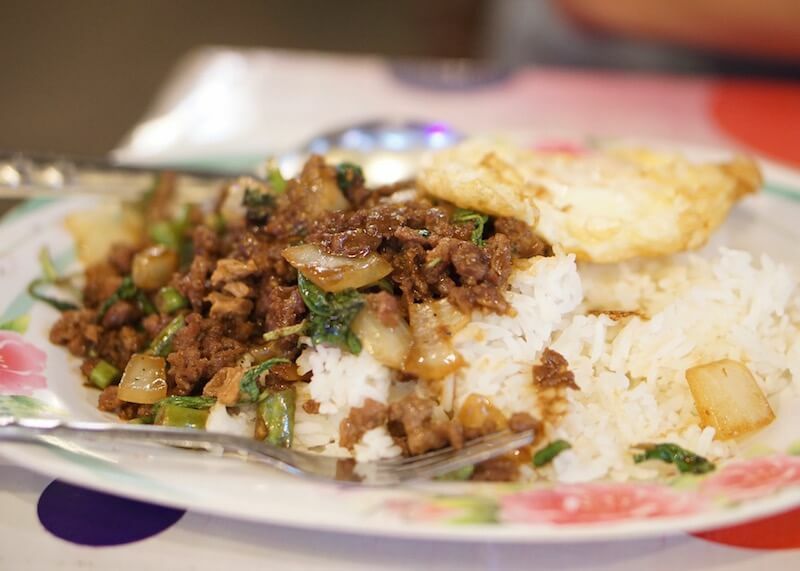 This noodle dish is found in almost all night markets in Chiang Mai. 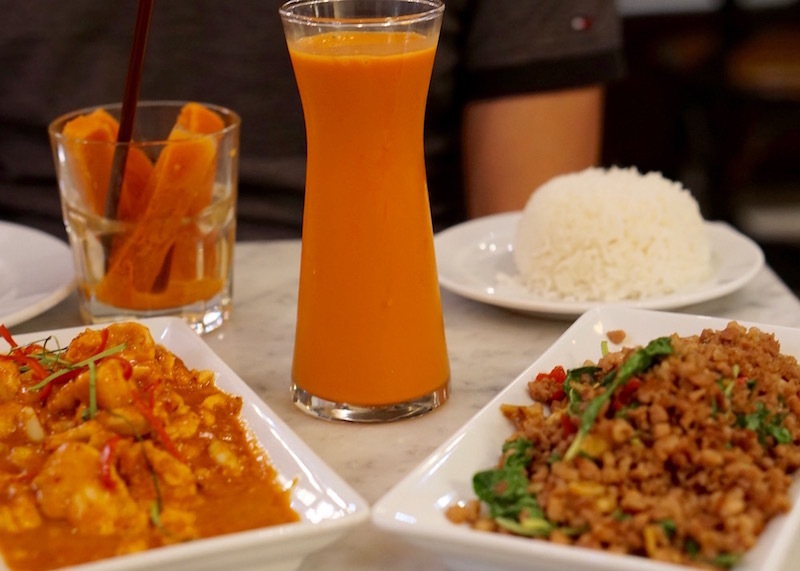 While the price of this Pad Thai dish is super low, the portions are much smaller than North American standards. With that being said, don’t be surprised if you find yourself full after enjoying this dish. I don’t have much to say about this dish, except that it costs about $0.40 CAD ($0.30 USD) and is really yummy. 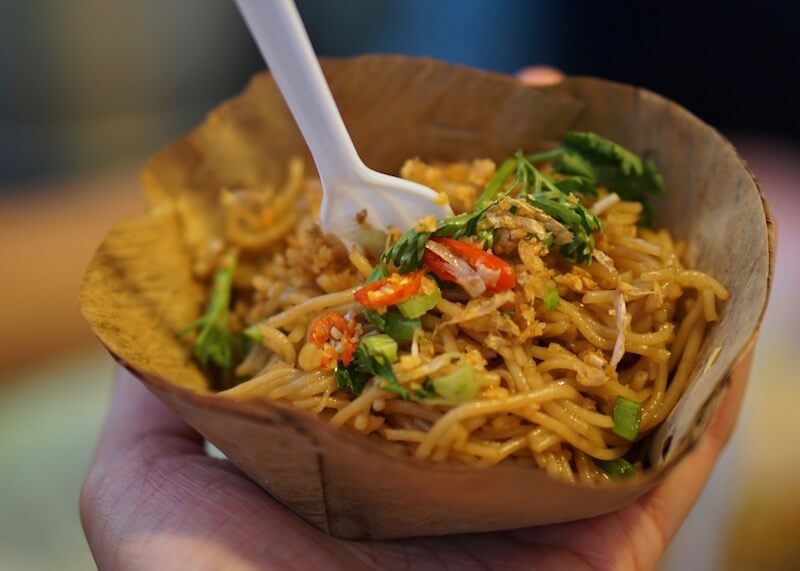 These noodles are from the famous Sunday night market, although I’m sure you can also find them at other night markets. 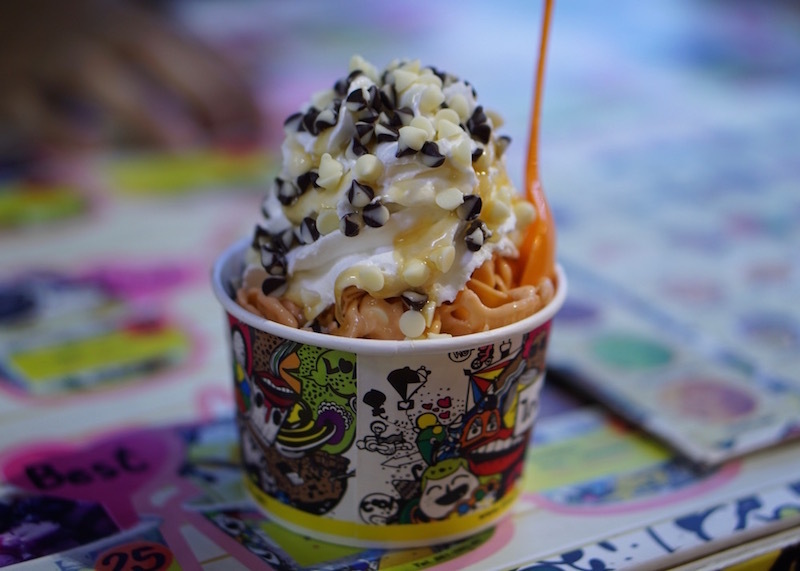 Fried milk… say what?! It sounds weird, I know, but this dish has an interesting nutmeg flavor. 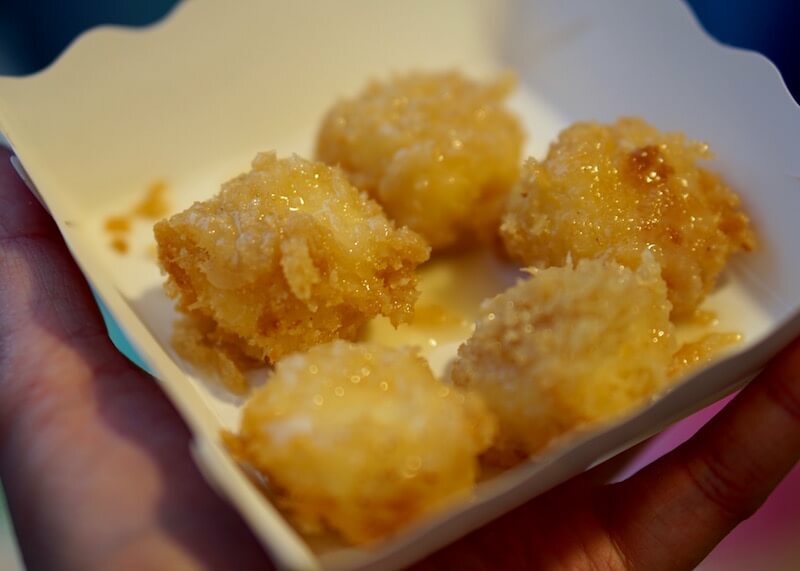 The inside of this dish has a custard-like consistency and is crunchy and crispy on the outside. 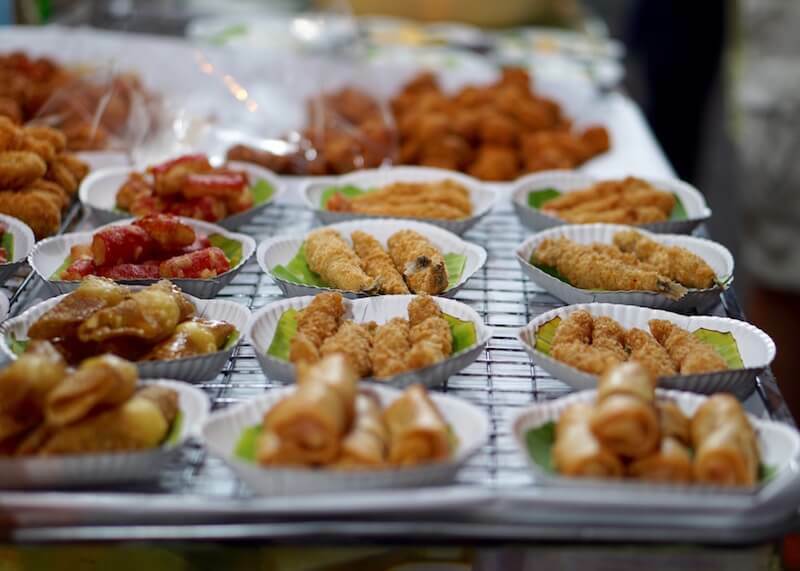 Fried food is typical in all Chiang Mai night markets. I love spring rolls and happily had some at every night market I visited. I really like dumplings, and this dish was like having a mini Dim Sum moment while in Thailand. 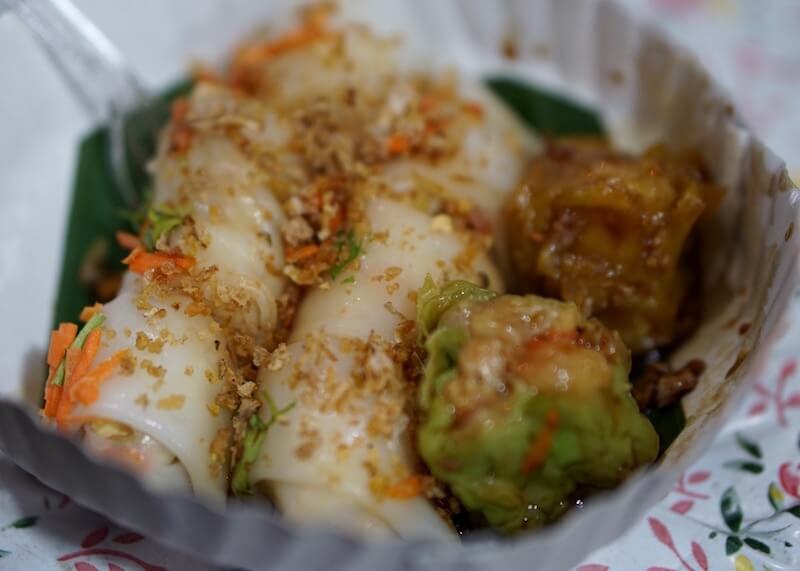 The green dumpling looks like Siu Mai and tasted like Siu Mai, but with a Thai flavor. 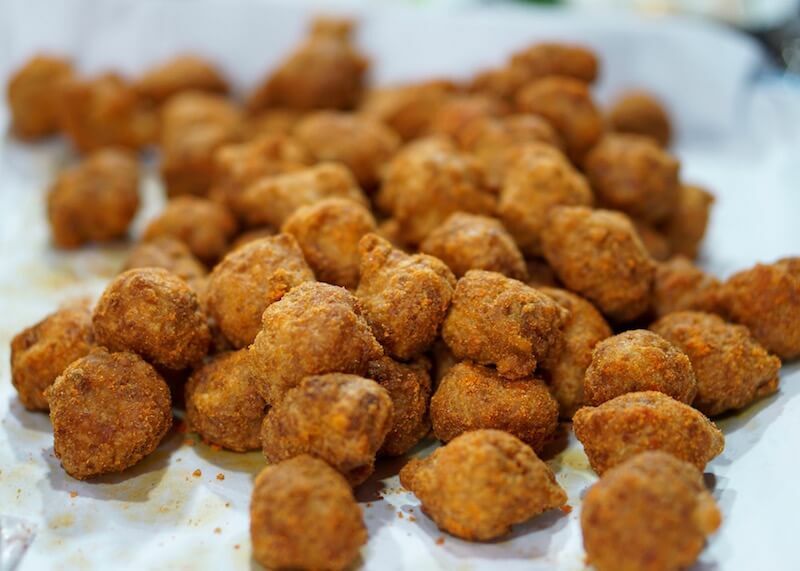 This dish is kind of like popcorn chicken, but spicy and with more meat and less flour. I was a bit concerned at one point because the thought of the meat coming from some weird part of the chicken (like intestine, or brain) crossed my mind…but it tasted like ordinary chicken. 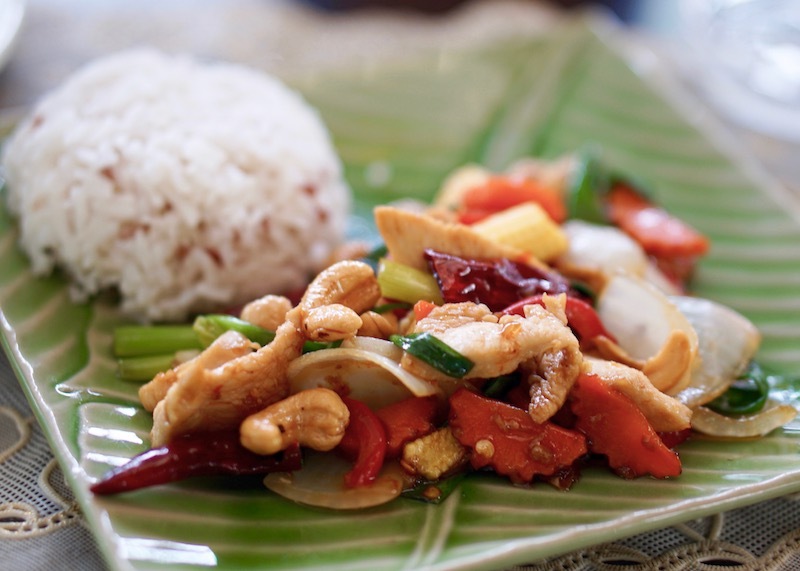 Pad ka prao is a delicious stir-fry served with holy basil, fried egg, and jasmine rice. This portion was quite large and left me feeling quite full.